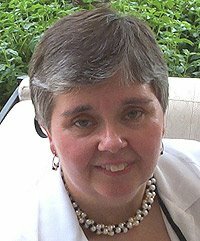 Even Michael Jahn, author of the Bill Donovan mysteries, seemed to let the books slip away from him for years at a time while he worked on other projects. But, some of us never forgot those gritty New York mysteries. In 1982, Jahn introduced NYPD detective Bill Donovan in Night Rituals. Donovan was a cop on the way down in that first book, filled with rage left over from the murder of his father. He had a mysterious past, and was torn between two women, a Cuban-American barmaid, and a multiracial undercover cop. 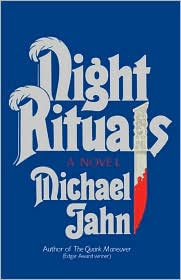 In Night Rituals, Donovan talks Marcie, the cop, into acting as a decoy in the hunt for a psycho killer. series. 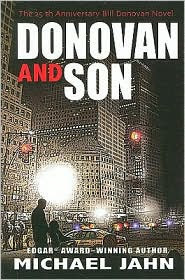 In Donovan & Son, Bill Donovan is a respected, famous NYPD detective, just retired to devote his life to his son, who is paralyzed, and in a wheelchair. Old friends return from previous books, as the father and son become involved in a murder investigation. I remember these books as gritty depictions of New York City, but stories that also show a love of the city. And, Donovan. Despite his rough beginnings, he had loyal friends who stuck by him. He changes, grows in the course of the series. Bill Donovan is a detective worth finding. SO sad that someone who was obviously a very fine writer just fell off the map. I guess this is why publishers like the book a year. These sound interesting and I was completely unaware he wrote this sort of thing. In those long ago days before internet, I read some of his tie-in work, but had no way then of knowing anything else about him. Thanks! It is, Patti. And, I'm sure with his other writing for TV, he had other projects. But, I do think people forgot about his books. You're welcome, Randy. I thought some of those Donovan books were fantastic. And, I was finding them on B&N, so I'm sure you can still get a hold of the books. Thanks for the kind and insightful thoughts, guys. You know more about me than I do myself. (the infrequency of books coming out is because I had to support a family, and couldn't do it on book income. Any, I have lots of loyal readers and love them all. Thank you, Michael. And, thank you for all of the Donovan books. I really did enjoy them.